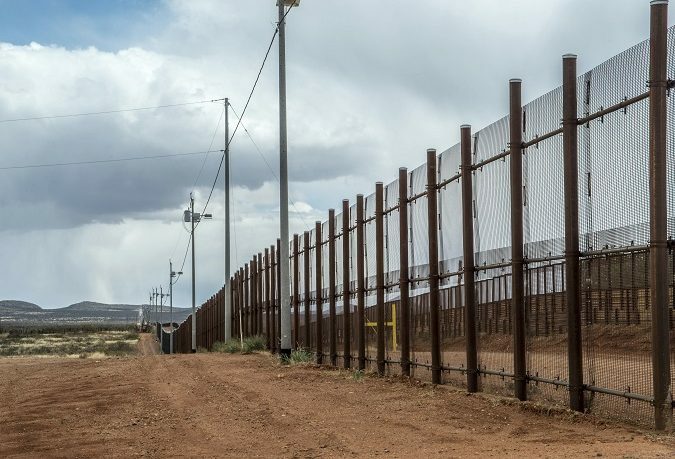 While Congress dithers over yet another amnesty for illegal aliens, President Donald Trump’s promised border wall is stuck in the mud. A year after Trump moved into the White House, eight wall prototypes are on display south of San Diego. But Elaine Duke, deputy secretary of the Department of Homeland Security, says people shouldn’t get too excited. “It won’t necessarily be one of the eight. What comes out may be totally different,” Duke told a Border Security Expo last month. Twenty-eight miles of replacement wall near San Diego is DHS’ top priority, followed by an “action plan” for Texas’ largely wall-less Rio Grande Valley. The plan pivots on land ownership issues. At this rate, 2020 will be here and Trump will be running for re-election without any new barriers built. If a dysfunctional Congress and a plodding Homeland Security bureaucracy persist in icing the signature pledge of his 2016 campaign, the president must turn up the heat. That takes money – other people’s money. Open-borders groups dismiss Trump’s call to make Mexico pay for the wall. “There is no way Mexico is going to pay,” flatly declares Vanda Felbab-Brown, a senior fellow at the Brookings Institution. But taxing or imposing fees on U.S. funds sent privately to Mexico and other countries makes dollars, and sense. Foreign remittances represent a significant, but often overlooked, cost of mass immigration. According to the World Bank, $133.5 billion in remittances flowed out of the U.S. in 2015. In 2016, remittances to Mexico (mostly from the U.S.) hit a record $27 billion, exceeding that country’s revenues from oil exports. An estimated 83 percent of Mexicans who enter the U.S. illegally send money home. Tapping remittances is neither a new nor exotic idea. Oklahoma assesses a 1 percent fee on all personal wire transfers of cash to accounts outside the state. Why not charge for funds leaving America? 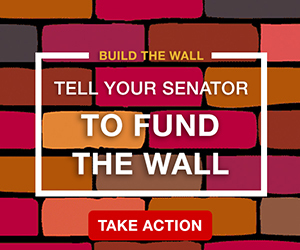 In less than 10 years, a 2 percent remittance surcharge would raise the $25 billion Trump wants for a border security trust fund, including a 2,000-mile wall. Taxing foreign remittances should be a bipartisan no-brainer. Retaining pennies on the dollars leaving the country generates cash for border security while letting foreign governments know that Uncle Sam won’t be played for a sucker. Should tell Congress that unless the Wall is fully funded with no avenues for withdrawing/transferring or using it for any other purpose, DACA will NOT be addressed and ICE enforcement will become a multiplied force, with volunteer ex law enforcement, ex military, and any other volunteers needed, sworn in as Deputy ICE Agents, with badges, and all the other accoutrements carried by them. Which would drastically increase those “Dreamers” and other illegal alien’s apprehension and deportation. Time frame from arrest to deportation targeted to be 72 hours, with those in custody in a revolving door movement so their “lawyers”, etc, can’t catch up with them before they’re gone. I predicted and wrote about the explosion of illegals who’d flood into the country after the last amnesty, and also predicted that employers of these people would not only continue, but likely increase their illegal hiring practices BECAUSE they were not criminally charged for intentionally violating Federal law by hiring illegals. Since an illegal has ZERO LEGAL rights to receive Federal Welfare program assistance, enforcing the withholding of such funds to any state that knowingly gives welfare to illegals and resisting the Federal “activist” “judges” who say supporting an illegal IS legal, a lot would self deport. Biggest problem is the do-nothing taxpayer’s who sit on their hands while getting pissed on by Government. Find a person who says “walls won’t work” and almost inevitably you find a person who supports amnesty and wide open immigration. They also cast walls and fences as “old technology” except of course when they happen to be surrounding their homes. Wheels are also “old technology”, as in thousands of years ago, and no one has come up with something better. Some things are common sense. Walls will do little- technology is far better. Why don’t you put some of those wheels on your vehicle and see how far you get?